By James de Lemos, M.D. I had the opportunity to chair a packed session in the “main tent” focusing on state-of-the-art concepts surrounding the pathology, diagnosis, and treatment of non-ST-elevation acute coronary syndromes (NSTE-ACS). Over the course of five lectures by international experts, multiple emerging concepts were introduced and controversies discussed. Advances in intracoronary imaging techniques, particularly optical coherence tomography and intravascular ultrasound, now allow more precise characterization of the mechanisms underlying ACS. We now recognize that it is not uncommon to have myocardial infarction with nonobstructive coronary arteries (MINOCA), a phenomenon caused by diverse pathophysiological mechanisms including coronary embolism and spontaneous coronary dissection, as well as functional abnormalities in the coronary epicardial and microvascular circulation. Until we begin to systematically investigate these patients, we will not be able to move toward a pathophysiology-guided approach to treatment. Another important topic discussed was the introduction into the U.S. practice of high-sensitivity troponin assays. A multidisciplinary team at UT Southwestern and Parkland Hospital has developed an innovative protocol that capitalizes on the improved sensitivity and precision of the “high sensitivity” troponin T assay (hs-cTnT) to “rule out” MI more effectively and quickly. We were among the very first centers to implement hs-cTnT testing in the U.S. and the first to report our findings. Earlier this year in Circulation, we reported very favorable results from a pilot study of our new protocol. 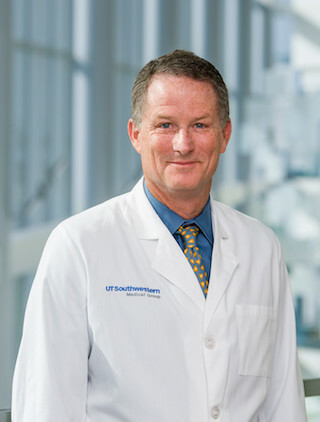 A multidisciplinary team at UT Southwestern and Parkland Hospital has developed an innovative protocol that capitalizes on the improved sensitivity and precision of the ‘high sensitivity’ troponin T assay (hs-cTnT) to ‘rule out’ MI more effectively and quickly. The session also covered emerging data suggesting that the timing of invasive therapy in non-ST-elevation ACS should be individualized, based on patient risk. Whereas current guidelines suggest catheterization 12-48 hours after presentation, recent studies have shown improved outcomes for patients at highest risk when invasive therapy is initiated earlier. This does not mean that NSTE-ACS requires a “time is muscle” approach like STEMI, but it does suggest that the highest-risk patients with NSTE-ACS should undergo catheterization at the soonest logistically feasible time – and that waiting overnight or over the weekend might not be advisable for a subset of patients.